Whatever you want, be it your daily news fix, the latest glossy magazine, that cup of coffee or a hot snack on the way to work and back home again, you know you can count on myNEWS.com. Easily accessible wherever you go, these trendy outlets can be found in popular shopping complexes, hypermarkets, office buildings, LRT stations and even hospitals. Whoever you are, myNEWS.com is ready to serve you whenever you need it, come rain or shine from 10am to 10pm seven days a week. 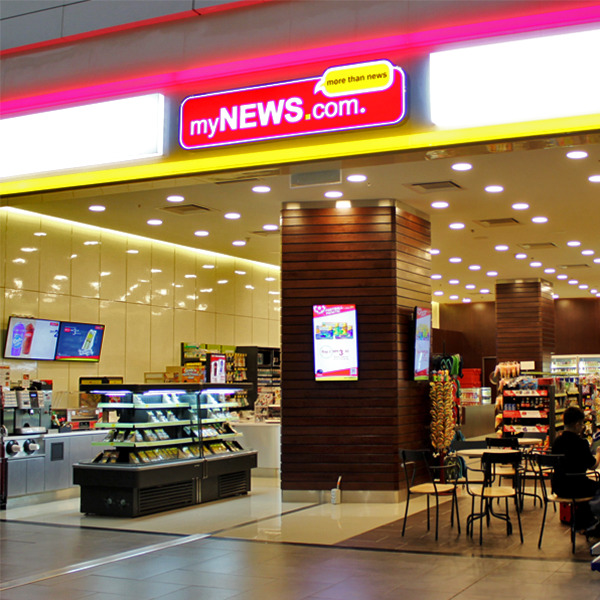 myNEWS.com also offers a variety of services available at selected outlets including Western Union money transfers, automated teller machines, photocopying, mobile phone and Touch 'n Go reloads, as well as self-served food and hot beverages.